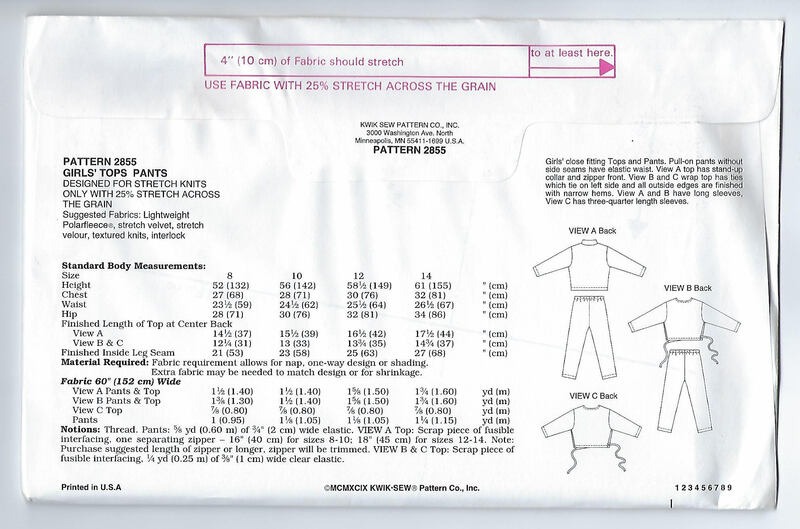 Package contains patterns and instructions to make GIRLS close fitting Tops and Pants. Pull-on pants without side seams have elastic waist. View A Top has stand-up collar and zipper front. View B and C Wrap Top has ties which tie on left side and all outside edges are finished with narrow hems. 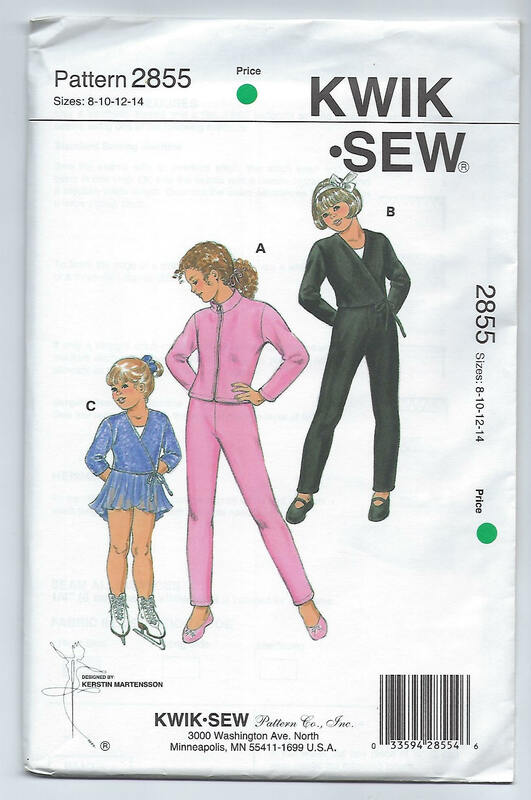 View A and B have long sleeves, View C has three-quarter length sleeves. For Stretch Knits Only with 25% stretch across the grain. Designed by Kerstin Martensson.